Prince George’s schools’ test scores drop. Source: Washington Post analysis of Maryland School Assessment scores for 2013. Scores reflect combined results for reading and math.. The Washington Post. Published on July 23, 2013, 12:20 p.m.
As the New Board of Education for Prince George’s County reorganizes itself and is determined to bring the necessary changes, we must realize that there is no silver bullet. However, as we articulated before, real improvements in a school system like PGCPS take time and hard work. As we said before, miraculous sudden improvements in student achievement was likely the result of outright fraud or a rigged evaluation system designed to produce desired results. This notion has been proved right today by news articles in Gazette and Washington Post. On this note, we must demand changes starting with PGCPS HQ (Sasscer) and not cosmetics changes. We ask our new Board and our CEO to go boldly for administrative reforms that relate to the nuts and bolts of our school system and how it is run. Buses must be made to run on time and we must get rid of administrative waste, and sort through questionable contracts beginning with Thatcher Law firm which is the epicenter of corruption and the legal department. We must change contracting procedures and demand more for our kids instead of high suspension rate we have seen in the past. Above all, we must use appropriate technologies to gain efficiencies as well as, demand effective and timely school-to-parent communications. This is the first and most necessary element for enabling parental involvement as articulated by our sister Blogs in the past. Finally, we must treat teachers and other staff members as professionals. Listen to them and provide them opportunities to influence how schools are run. We must refrain from arbitrary compensation schemes that will make teachers accountable for conditions they have no control over. On this note, we must revisit how budget is controlled by Principals without much oversight which is like “Christmas in April.” This does not mean you don’t demand accountability and high performance. However, transparency and accountability initiatives passed into law must be implemented fully. We expect County Executive Rushern Baker, Board Chairman Dr. Segun C. Eubanks and our New Chief Executive Officer Dr. Kevin Maxwell to be a partner, not a punitive leader who are out to get teachers and other staff members. 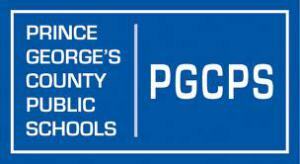 Let us make PGCPS a place that values innovation and professionalism—an attractive place for good teachers and other professionals to work for the good of the county.